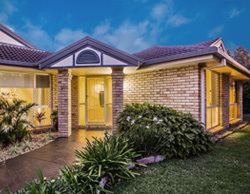 Buying or selling a Queensland home? 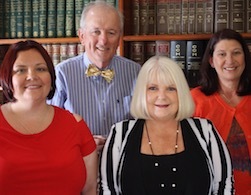 Gill and Lane Solicitors, and its predecessors, have a proud history of providing high quality and reliable legal services to Brisbane’s North Eastern suburbs since the 1930s. Based in Sandgate on Sea, we help our clients look beyond tomorrow and safeguard their wishes for the future. 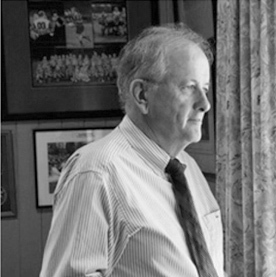 Under the leadership of Greg Lane, Principal of the firm, we focus on what we’re exceptional at ― Wills and Estate Planning and Administration. While we’re best known for being wills and estates lawyers as well as estate planning lawyers, we also provide other legal services. These include Power of Attorney, succession, services and deceased estates, court and tribunal, commercial and body corporate services and property conveyancing. When it comes to Wills and Estates Planning and Administration we apply our expert knowledge to make difficult times less difficult. We do this with a unique personal touch and expertise you can trust. 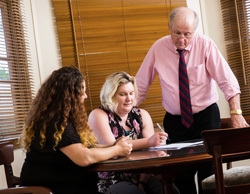 The firm’s experience and expertise are important when it comes to Wills and Estates to avoid confusion and disputes as well as costly and prolonged proceedings. Gill and Lane will help navigate the difficult and unknown with effective and timely solutions and exceptional customer service. When needed we will keep the lines of communication open and be accessible while streamlining the process as much as possible. Over the years, we have become renowned for our down-to-earth and personalised approach complemented by modern day experience and up-to-date expertise. Our longevity comes from a love for what we do and a commitment to the North Eastern Brisbane community. We mainly service areas within Brisbane, North Brisbane and other surrounding areas, but we may be able to assist even if you’re further afield. Many people assume they only need to think about Wills Lawyers or Estate Planning Lawyers if they have a large fortune and significant assets. This is simply untrue. If you have assets, superannuation, life insurance, a business or keepsakes you wish to be cared for or distributed after your death, you need to think about estate planning. Similarly if you have loved ones in your care or want to say how your finances and health decisions will be managed in the event you can’t make your own decisions, you need an estate plan. Some estate plans are simpler than others – they may only consist of a Will and Powers of Attorney. 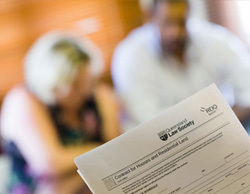 Gill and Lane can advise you on what’s best for your situation and safeguard your future wishes. To find out more, visit our contact page and filling out the form or call us on (07) 3269 8111 for an obligation-free consultation.